This face is the last thing anyone with an insufficient knowledge of horror movies sees before they bite the big one... especially if they live in the (formerly) sleepy town of Lakewood. It's the infamous Ghostface from MTV's Scream, and he's here to scare a whole new generation of unsuspecting high school students all the way to the grave. But unlike his inspirations (like Jason Voorhees and Michael Myers), this slasher is quick and scary in a whole new way. 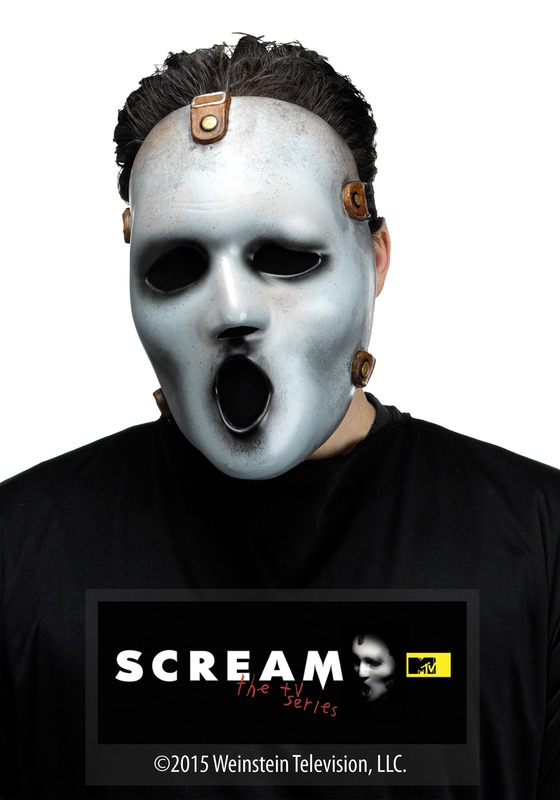 So terrorize your friends like they've never been terrorized before in the MTV Scream Adult Mask! Inspired by the Ghostface mask from the Wes Craven movies of the same name, this new take on the slasher's style is a combination of terrifying and tortured, horrifying and haunted. However you want to describe it, we're sure of one thing: the MTV Scream Adult Mask is probably the last thing anyone wants to see pop up on a dark night!